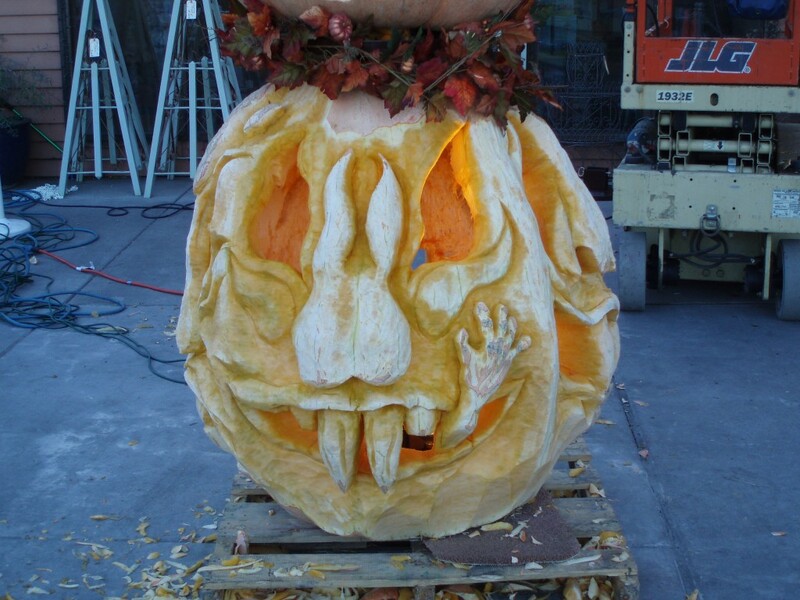 An early throw back to the Halloween season in 2006 when Pro Weld fabricated the pumpkin tower for Harry & David’s Pumpkin Carving during their Harvest Festivities in Medford, Oregon. 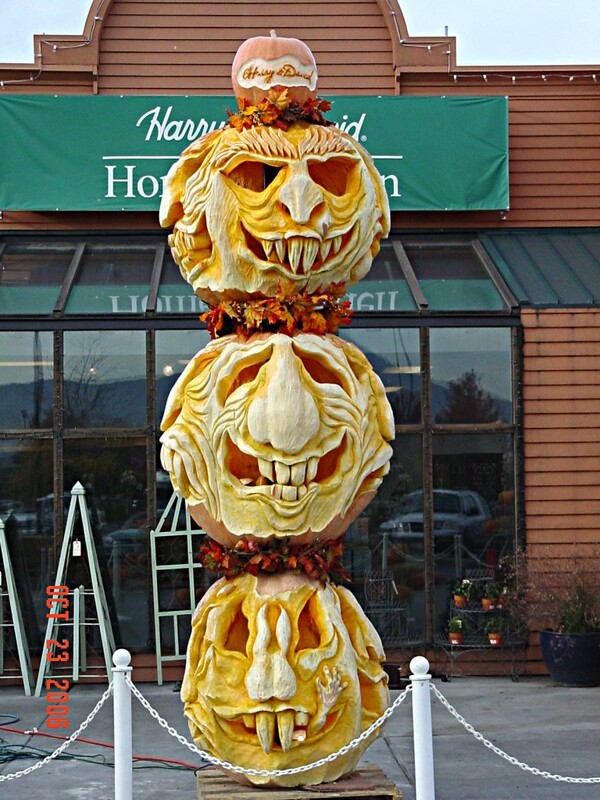 Harry and David brought in pumpkin carver Scott Cully, the world record holder for carving a 1,469 pound gourd in 2005. 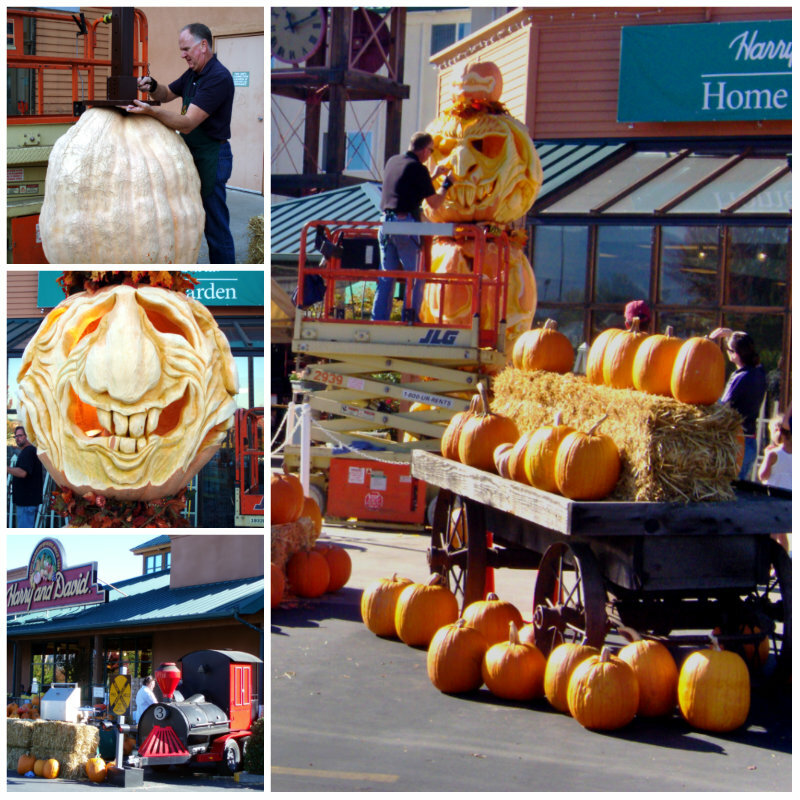 This flashback is a walk down memorylane from nearly 10 years ago when Pro Weld fabricated the structural totem pole steel post (holding the 1k+ of pumpkins), crane service and Iron Horse BBQ Grill. Cully’s style is non-traditional, focusing on carving ugly characters resembling the Walking Dead-type pumpkin carving designs. 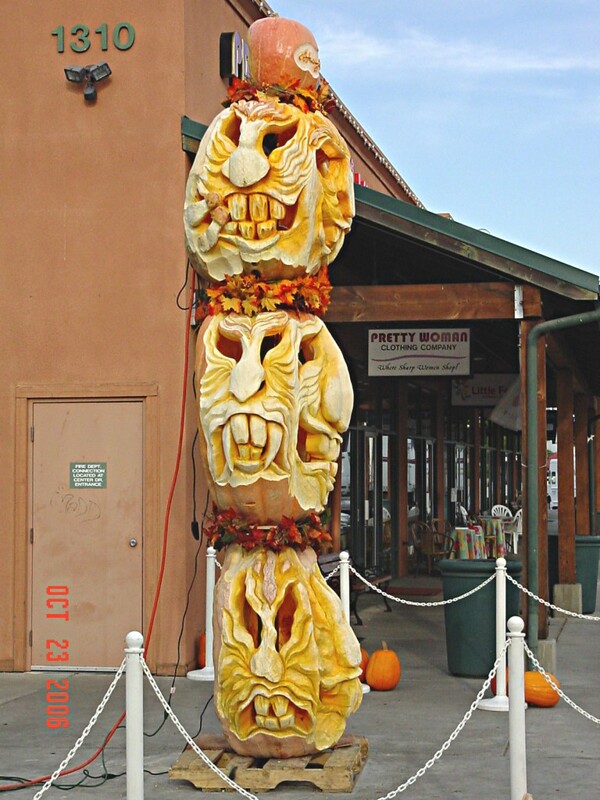 The bottom (heaviest) pumpkin carved on Pro Weld’s fabricated steel post, which served as the totem pole had a grotesque face of a smiling pumpkin with an arm reaching out of the pumpkin, as if the jack-o’-lantern gobbled another pumpkin. 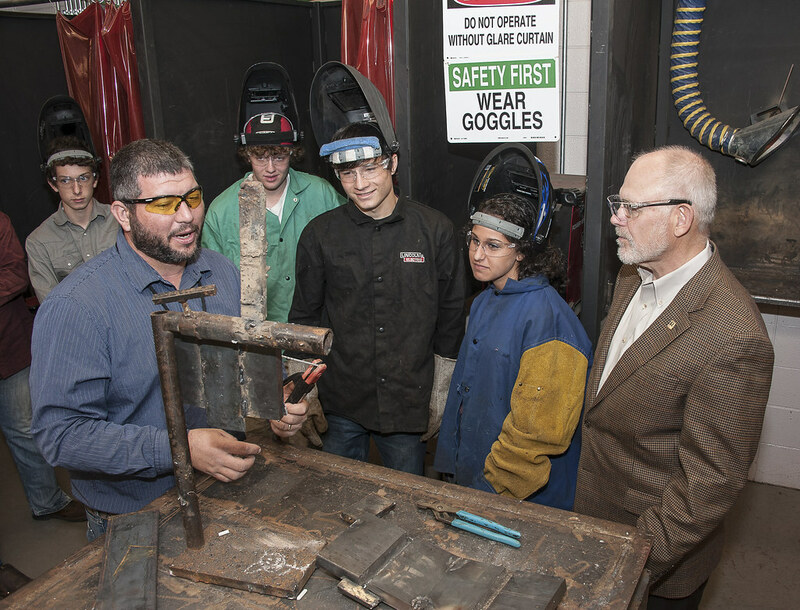 Pro Weld fabricated the steel post (serving as the totem pole for three pumpkins), the pumpkin holding bases, the crane services and the use of the Iron Horse BBQ during the three day seasonal events. The post Pro Weld set in place with their 14 ton boom truck, and had the structural capacity to stablize the three gnarly gourd-sized pumpkins. 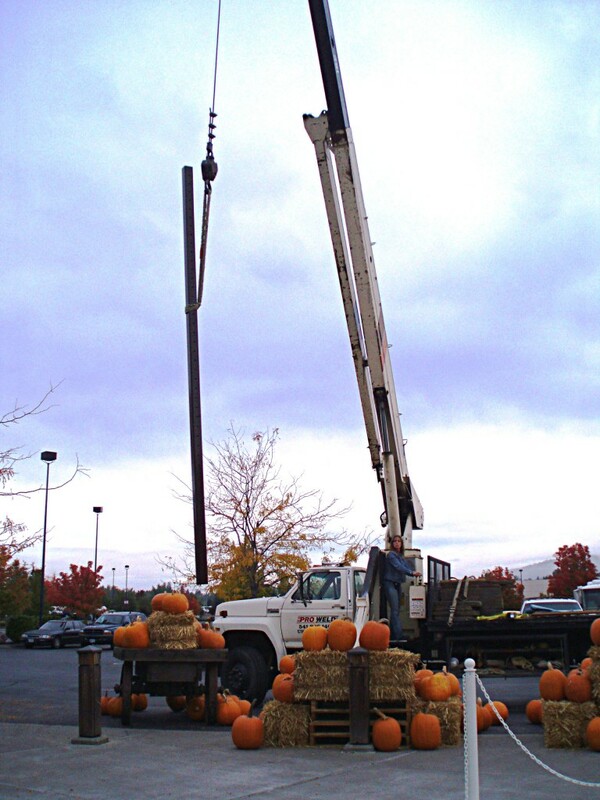 Pro Weld’s 14 ton boom truck set the steel base place first, then posts and metal plates holding the pumpkins. The steel plate protected the cement side walk which held the totem pole holding thousands of pounds of pumpkins. Pro Weld introduced their mobile commercial sized BBQ grill to the hungry crowds, which is caterer’s dream grill. 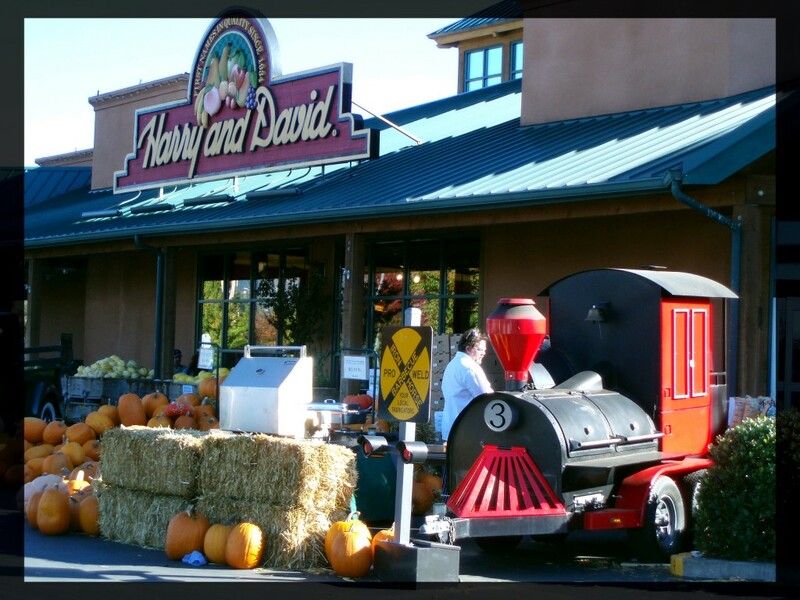 During the week of Halloween, Harry and David cooked juicy BBQ chicken, hot dogs, and BBQed corn on the cob for attendees of the pumpkin carving event and harvest sale, which helped tie in their marketing and sales goals for the Halloween season. Book the Iron Horse BBQ Now!